All Businesses – from the major corporates down to the single “Work from Home” SOHO Professional and Mobile Tradespeople can be exposed to loss of business in many and varied circumstances. Good business practices dictate that businesses actively employ risk management by instituting procedures to avoid, or at least minimize, the risk situations. Where business is conducted over the telephone, commitments or agreements reached between Supplier Representatives and the Customer can sometimes be misunderstood (by either party), resulting in the delivery of an incorrect supply of goods (or services). When this occurs, in most cases the customer contacts the supplier and raises an objection (a complaint). a) Apologize and resupply the “originally ordered” goods (or services) as indicated by the customer. 1) Believe that the customer has been at fault. 2) Believe that a staff member has been at fault and “fouled up again”. b) Refuse to believe that a mistake has been made and put the blame on the customer. In either of the above cases, misgivings are held about either a staff member or the customer – perhaps misguidedly. Also – the customer may feel that the supplier is inefficient and be inclined to not do business with them again. In a) and b) there are no means of determining where the problem lies — and no means of preventing it happening again. c) Access the Telephone Call Recording System, Search by Time & Date, (and possibly the customers telephone number), thereby quickly locating the call in question. Once the call has been retrieved and replayed, the supplier can easily determine where the mixup has occurred and take action to address the problem. The ability to take these actions demonstrates that effective risk management has been undertaken (by virtue of having a suitable Telephone Call Recording system installed and staff trained in its use). 3) Staff retraining (or counselling). Obviously only the foolhardy would accept the a) or b) options from the above listed “Possible Responses”. There is no need to point out the lack of any Risk Management processes in a) or b) — there are none! Response c) is the “No Brainer” selection — and will be a critical plank in any Risk Management review undertaken by responsible business managers. 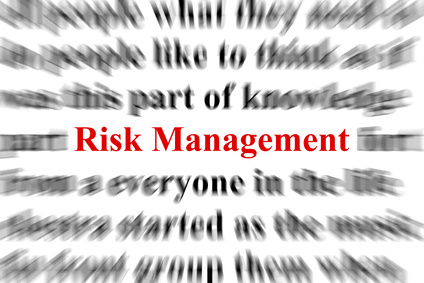 Has your Company undertaken a Risk Management review ? 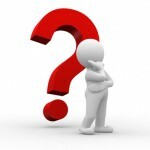 Q: How do I find out what type of Telephone Call Recording System to satisfy my Risk Management needs in my business? A: Click <here> for an overview of the various types of Telephone Call Recordings Systems available, to assist in Risk Management.